A coder can apply his breathtaking coding skills not only in different search engines but also in the mobile game industry. It is an option in Russia. If you do not believe — check this out: ZeptoLab company that created the world famous Cut the Rope game offers you the opportunity to see this for yourself. And yes, we are in Moscow. It's not a secret that those who strive to achieve top coding skills — work hard, including work on his self-education. Here in ZeptoLab we aim to create the area that strongly encourages self-development. Specifically, we have recently purchased a company library with everything necessary to get new knowledge, an improvised reading room with sofas and armchairs. We have recently opened our own algorithmic school here in ZebtoLab and the teacher is no other than the creator and the head of the whole wide Codeforces, Mike Mirzayanov! He is well-known among developers: Mike has trained a team that became the world champion in programming, so it's not hard to imagine the opportunities opened for ZeptoLab developers and the whole company. It's the first time that Mike teaches in such format, there are hardly any more examples of such corporate education systems in Russia and throughout the world. Algorithms play an important role for us as the requirements for developers are quite tough: ideally, the application should output 60 frames per second on the target gadget. All game logic calculations should be very quick and preferably, with simple and not amortized complexity. Besides, we can afford a fine pre-processing to transport some calculations to the stage at which resources for the game are prepared. Understanding this facts, alongside with many more is the key to the quick gameplay. That is why we support the algorithmist's movement. We will randomly give the IPad Mini Retina to the person who makes it to the top 50 list of the contest champion. The IPad winner will be chosen like this: we sum up the times of all successful attempts of three top winners (in seconds starting from the start of the contest) and take a row with number s % 47 + 4, where s is the resulting sum. Being true coders. If the resulting line divides the place, then the priority goes to the earlier person to submit his last solved problem. Besides, the person who shows good results in the contest will have the opportunity to apply for a job in our company by a simplified scheme. 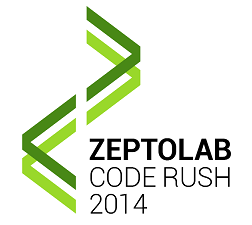 If you'd be interested to try working in the ZeptoLab team, tick the corresponding square at the registration. You can find out more about what working with us is like at http://zeptoteam.ru/. What to apply to ZeptoLab? The championship will be conducted in a single round. 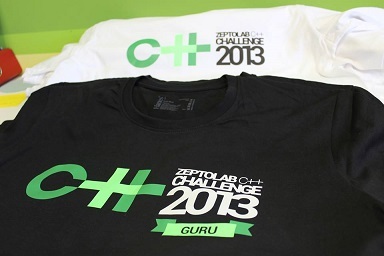 The contest will go by the Codeforces rules. The round will be rated and both divisions can participate. The date and time of the contest is: June 13, 2014, 15:30PM — 18PM (UTC). The problem scores are: 1000-1000-1500-2500-2500-3000. 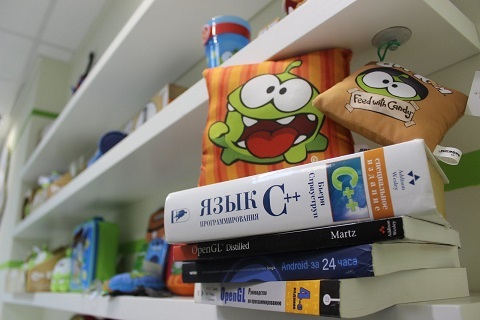 All the participants on the places 1-30 will receive presents: plush Om Nom and the championship T-shirt. All the participants on the places 31-50 will receive championship T-shirt! Additional prize will be received to the the 21st place winner: package.zaic (Vadim Zaycev, Russia, Novosibirsk, NSU). I think it will be good contest. We will see. What is the degree of difficulty of problems? 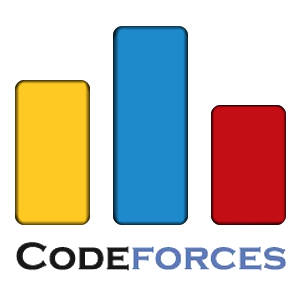 like codeforces one? You may edit your comment only for fixing grammar mistakes or small changes. Do not change the main idea of your comment. All previous revisions are available for others. Are you sure you want to edit comment? The contest lasts 2h30. It has how much problems, viktork! Seems very funny :D I like this kind of round. How will this round be rated (keeping in mind that both divisions can participate)? none of your apps are for UBUNTU! Oh, Cut the Rope is an interesting game, and I have designed a problem based on the game mechanics in "DJ Box": CandyOnDisk. I saw the website is in Russian, does it means the working language in ZeptoLab is Russian? Wow, a good problem! If you wish we could ask you to be a co-author of the following possible contests in the future. We are an international company, but yes, our working language is mostly Russian at the moment. Does that mean Top 50 have T-shirt with their name on it? Really awesome! Achieving that result is hard though..
Can anyone participate or it's just for Russians? Lol, I wanted to google "Cut a rope", but instead "cut the rope" I mistakenly typed "cout the rope" :P.
How many problems will there be in this contest? 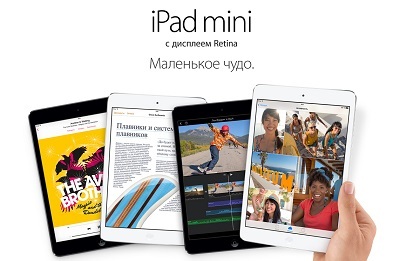 Will there be any indicator of who is the random owner of iPad Mini during the contest? The IPad winner will be chosen like this: we sum up the times of all successful attempts of three top winners (in seconds starting from the start of the contest) and take a row with number s % 47 + 4, where s is the resulting sum. Does this contest influence the rating? When score distribution will be announced? Why is score distribution so important for many people? Because of thinking about strategy. and knowing number of problems and preparing file for each problem. Can two items have the same "H" in Problem A? If yes, can "Om Nom" eat both of them? Or just one of them? Thank you. Thank you! Contest was fantastic. This comment and your avatar makes a perfect combination :D. But agree, contest was awesome. i don't know why but for almost an hour I thought in problem C you could only use the last sent level! did anyone else understood the problem in this way ? I wasted a ton of time thinking the same thing! Me too, but then I looked at the sample test :P.
How was C supposed to be solved? Create a complete graph: weight between level i and j is min(n*m, w * their difference). The answer is then n*m + Min cost span tree in this graph. Seems the hard tasks are all about data struct and the code is long, looks like an OI contest. Yeah, except OI involves long codes because it has full feedback and no time penalties. Can anyone please tell me why this is not a correct solution for C ? I got WA in test case 3. This is 3rd case of C.
Could you be printing null characters or something? Link to your code. You output 12 as the cost, while it was actually 11. In my pc it generates the output which i gave to u, but for the same code codeforces generate another output. Although my solution may be incorrect, thanks anyway. I am looking forward to it. It appears correct to me.. Did it give you WA? Yes it gave WA in test case 3, I include my solution. The output is correct , may be the way that are you printing the output is the problem , maybe you are using printf("%d\n") y using long long . Is there going to be an editorial? When will be the editorial available? Problem A is not clear. I thought after Om Nom eats a candy, it continues hanging on that rope instead of jumping back to the ground :( I lost many precious minutes. What a system testing everything changed !!! Your program will start with type 1 (because the mass is large), and will be able to collect only 2 candies. The optimal answer is 3. I cant submit my code . Please fix it. Congratulation to package.zaic!!! You won an iPad. 134-th place expected, 134-th place in the standings! Petr tasks are so hard, so even Petr can't solve them. Do you know any solution faster than O(n*sqrt(n))? problem F is equivalent with which one of your problems? It hasn't been published, but it's called "Business As Usual". He/She is trying to be the worst in every contest! So He/She solve a problem, and hack solutions with easy testcases! Why do you know ? In problem E, is the correct solution to split the levels into two groups, where b>a*2, and b<=a*2, and choose how many stars to get from each group (since for both groups it is possible to find the answer in O(1))? I had something completely different in mind: sort the levels by 1-star cost; if we pick the rightmost (i-th) level with 1 star, all levels to its left must be either solved for 1 or 2 stars (otherwise, we have a better solution). Then, if we picked the number K of 2-star levels to its right, then we know how many to its left need to have 2 (or that it's not possible). It's clear that we pick the cheapest ones (by bi to its right, by bi - ai to its left) then. The cost of this first increases and then decreases as we increase K, because what we add levels with larger bi and remove levels with smaller bi - ai. Now, we iterate over all i from left to right, the sets that we should pick don't change much with each iteration, so we just need set<>s to simulate it. I'm getting TLEs and other fails, though, so maybe it has a loophole... but it's hard to code, anyway. My idea was that if for all levels we have b>a*2, then we can make a list of a and b-a for all levels and sort it. If the optimal solution includes b-a, then it must also include a. If for all levels we have b<=a*2, then the optimal solution can have at most one level with 1 star, all others must have 2 stars. So we split all levels into these two categories, precompute partial sums as required, and choose how many stars we want to get from each category (obviously, the optimal answer gets exactly w stars). I would like to thank dreamoon for sharing the 51st place with me. It is comforting to know you are not the only one who is the first to win no material prize. I got the logic for C but couldn't figure out how to print operations in order. When i figured it out there was only 1 min left. Bad luck :(. Anyways when will the problems be available for practice. Dunno what you did, but I just found the differences between levels; these are the costs of edges of a complete graph (+ 1 node with edge costs NM from it), and I just need to find its minimum spanning tree. That's done by adding edges, so I have the edges' order given directly by algorithm. I found the MST using Kruskal, than I was not able to figure out the ordering about which I came to know when I submitted my solution the one without ordering and got WA on 1st testcase. Later I figured out that I should do DFS to get the order but only 1 min was left and couldn't code it it in time. And I also started out at around 9:35 IST (around 35 minutes late). Not a good idea — if you don't submit anything, it's as if you didn't register at all. You should've waited until the contest was over and virtual-participated. I meant to say I started 35 minutes late. I have correctly submitted A and B but couldn't submit C after correcting the ordering. Yes, I understood that. I'm saying that you shouldn't have submitted anything. I did the same thing and wasn't sure how to find the order. Then I switched to Prim's algorithm, which gives you the right order for free. If you got the MST, you can pick any root and simply print it out in DFS/BFS order. Prim's algorithm gives a simpler solution, though, because you can use N^2 instead of priority queues, and get the edges in the correct order. How can I resubmit my solution ?! editorial and rating are wanted!!! In problem A, many people got WA on 37th test case and me too. Can someone tell me the trap of this test case? Thanks! i hacked this solution with the same input. Yes, I watched that during the contest XD. It was a funny story, because few months ago I was solving exactly the same problem in TopCoder, but for n<=8 as a part of some 500pts problem and I told my friend about it and then he told me that johnasselta proposed this for a middle-school OI, but I haven't came up with a solution, but today I learnt that this problem has a video editorial xD. Is there any link to this OI problem? Is there any way to see div2 only ranks? In problem A test 5, how the answer is 2? Why it is not 7? You can't eat the same type (1) twice in row, you can't start with type 1 (not enough high), and if you eat the (0 1 3) first, you can eat one type 1, and nothing else (you are still not high enough to eat 0 20 3). Tnx. So I misunderstood about the meaning of 'in a row'. How amazing it is! viktork became 21th top-contributor because of only one blog. Most positive blog ever. Server time: Apr/25/2019 13:51:00 (g2).